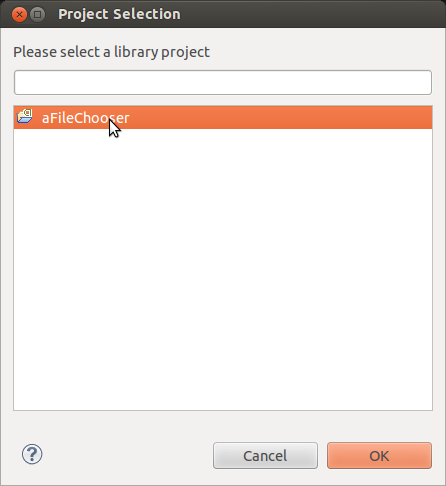 I had the problem of adding the aFileChooser library and here is how I solved it. As I did not need the examples I only copied the aFileChooser directory into my existing Android project directly under the /lib directory. I like this as this will provide me with all code that I use in one directory. 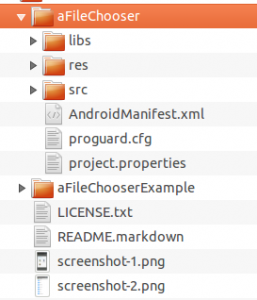 Next you will need to add the aFileChooser library to your project. 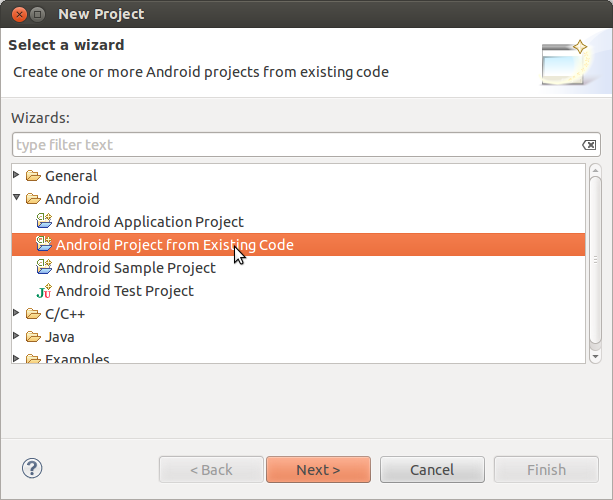 You do this by selecting your project in the explorer and right clicking on it’s name. This will open the context menu where you have to click on Properties to get to the following screen. By clicking Add you can then select the aFileChosser library. Press OK on this and the previous dialoge. 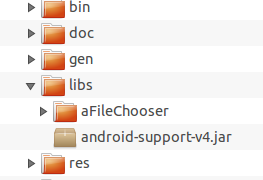 If you are unlucky like me you will now see an error occuring as your own project and the aFileChooser library project have under their respective /lib directory the same JAR file “android-support-v4.jar” but of different size and therefore version. 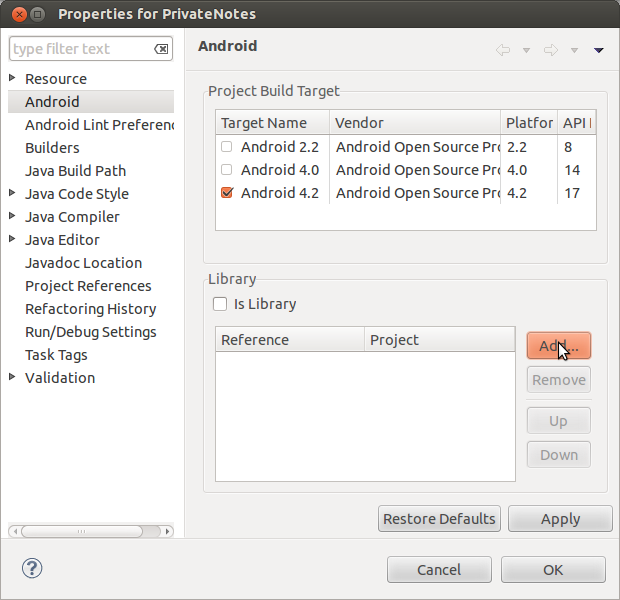 Just copy your android-support-v4.jar file to the /lib/aFileChooser/lib folder and press F5 back in Eclipse to get a refresh.